2-1-1 is a nationally recognized, easy to remember phone number that quickly and effectively connects people in need with resources 24 hours a day, 7 days a week, year around. No longer will a caller spend time making phone calls to 10 to 14 places looking for one service. 17th Annual Whitney D. Miller Golf Outing - Friday, July 21st, @ Elks Country Club, 19787 OH - 73, McDermott Ohio. 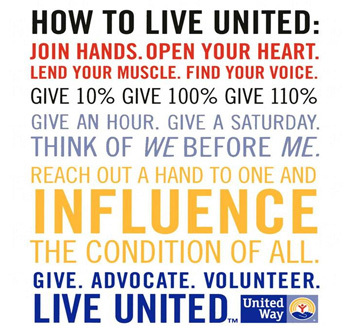 What if the United Way of Scioto County earned a penny every time you searched the Internet? Well, now we can! Just go to www.goodsearch.com and be sure to enter (United Way of Scioto County) as the charity you want to support. Just 500 of us searching four times a day will raise about $7300 in a year without anyone spending a dime! And, be sure to spread the word!